There’s no official definition of what a millennial, is but most source say it is someone born between 1980 and 2000. There are currently 48.7 million adults between the ages of 18 and 30 in the U.S. These people account for 22 percent of the total adult population in the country. There are, roughly speaking, twice as many millennials as there are senior citizens in the population. 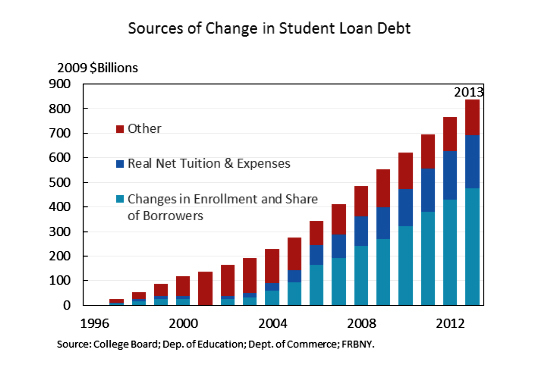 Because so many of them entered the economy just before, during, or right after the Great Recession of 2008, millennials had to make very important, very difficult decisions about their educational and career paths. Their early adult lives have been shaped by the experience of establishing their careers at a time when economic opportunities were scarce. 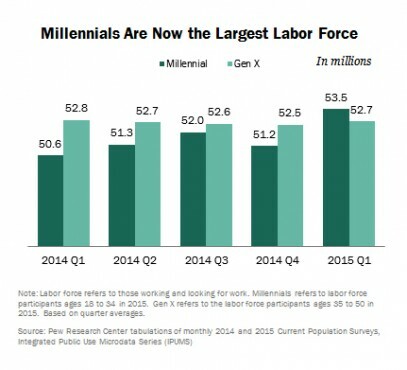 With a disproportionately large share of immigrants, the millennial generation’s workforce is highly likely to grow even further in the near future. In the past five years, more than half of newly arrived immigrant workers the U.S. have been millennials. 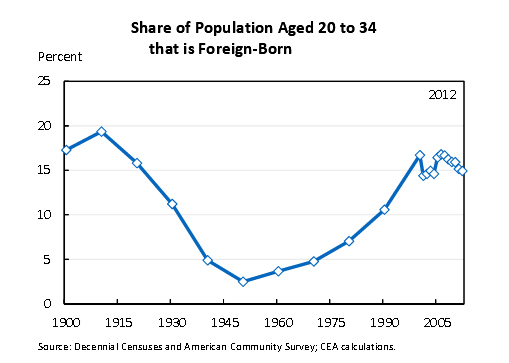 The share of millennials who are foreign born is increasing, so a system or network that helps them integrate more seamlessly into the country would be beneficial to the economy as a whole. Millennials report that family and relationships are more important to them than they were to previous generations. Technology that allows people to stay in touch with friends and family is especially useful for millennials that need help with job referrals, advice, mentoring, or introductions to the right people. However, for millennials, being connected to professional networks means more than having a profile on LinkedIn. Three quarters of millennials have accounts on social networking sites, compared to only half of Gen. X-ers and less than a third of the baby boomers. Nowadays, people are posting and sharing job openings on Facebook and Twitter, not just on Monster and Indeed. Another change we see is that millennials are better educated than prior generations were. 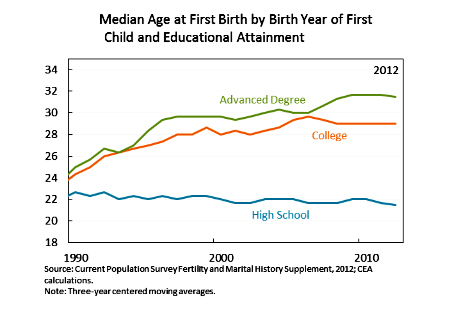 A higher proportion of 18-24-year-olds are going to college now than at any time in the past. As a result of being better educated and more familiar with technology, millennials are more connected to each other than in previous generations. A quarter of millennials believe that their relationship to technology is what makes their generation unique. 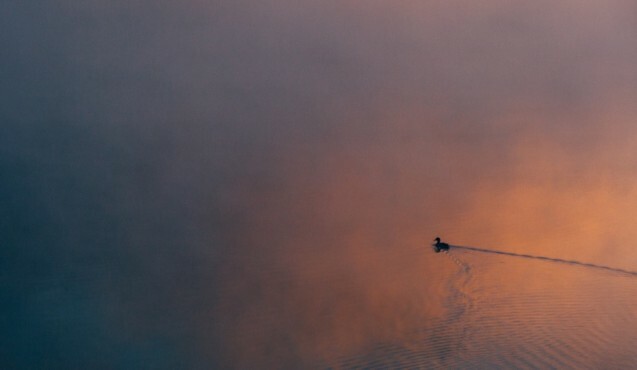 Millennials are coming of age in a world in which the power of technology appears unlimited. They’re demanding mobile apps for everything from ordering food, to hailing cabs, to applying for jobs. At this stage, most millennials are focusing on establishing their careers. Since most millennials grew up in households where both parents worked — and since millennials’ children are even more likely to live in such households — millennials are used to balancing family and work obligations. Access to flexible work arrangements or paid parental leave are especially important nowadays when job seekers evaluate employers. As younger workers enter the labor market and face low wage growth, limited opportunities, and a weaker economy, the traditional methods of seeking employment are becoming increasingly irrelevant. To solve their unique challenges, millennials are turning to social media — and specifically networking sites — to leverage relationships by integrating their personal lives into their professional identities. This article originally appeared on China Daily. Cynthia Than is a columnist at Inc. Magazine, an economics blogger at China Daily, and a founding member of Trustlyapp.com. You can find her on Twitter @NinjaEconomics.